The World’s Jewish Museum is being led by Gail Asper, O.C., O.M., LL.D., Moses (Moe) Levy, Directors and volunteers of the World’s Museum of Jewish History and Culture (Private) LTD (CC), a Public Benefit Company established in Israel, architect Frank Gehry and museum planning firm Ralph Appelbaum Associates. 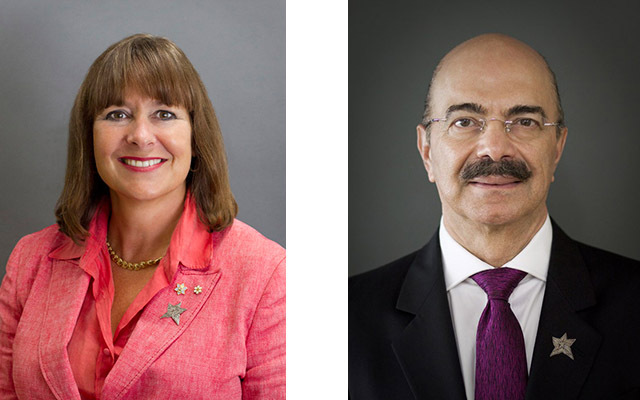 Both Asper and Levy, of The Asper Foundation, were instrumental in creating and delivering Canada’s fifth national museum and the first one to be located outside of Ottawa, the $351 million Cdn. Canadian Museum for Human Rights (seen to the right). Opened in 2014, it has received over 30 awards and is touted by various tourist magazines as the fifth ‘coolest’ place on the planet and one of the top ten places to visit in the world. 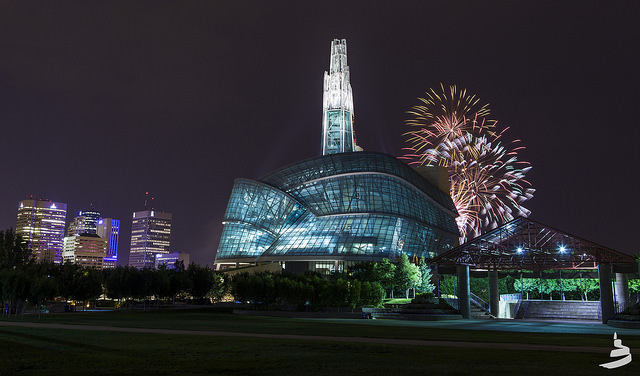 For more information, visit The Asper Foundation or The Canadian Museum for Human Rights. Zvika Hauser, previous Cabinet Secretary to Prime Minister Benjamin Netanyahu and Jonathan Shiff, legal counsel in Israel form the team, with additional program support in Los Angeles, California and Winnipeg, Manitoba. The team will be expanded as needed. As noted above, a Public Benefit Company, the World’s Museum of Jewish History and Culture (Private) LTD (CC) has been established in Israel to oversee the creation and development of the project. It currently has three directors and seven shareholders that will be expanded as stakeholders and donors express an interest to be involved. Shauna Shapiro Jackson & David Jackson – Film and Television Executives; Attorneys; Co-Founders of Curb Entertainment with former California Lt. Governor Mike Curb & Universal Pictures; and Showcase Entertainment. Jackson was also a Vice President at MCA Records. Tamara and Amit Stavinsky – Mr. Stavinsky is CEO, Managing Director, Tamar Securities – Global Asset Investment Advisor. Ben Press – Renowned Hollywood manager and producer; Former co-head of Paradigm Agency. Adam Press – Executive at Luxury Real Estate brand Hilton & Hyland. Rabbi David Wolpe – Senior Rabbi of Sinai Temple, Author & Scholar, Los Angeles, California. Gail Asper, O.C., O.M., LL.D. World’s Museum of Jewish History and Culture (Private) LTD (CC) is a Public Benefit Company registered in Israel. © 2019 World's Jewish Museum. All Rights Reserved. Website by Criterion Studios.